Lauren received her PhD in sociology, with a focus in medical sociology, as well as an MPH in Public Health Management in Policy from the University of Florida. 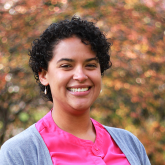 Her research interests include the social contexts of health and illness, health disparities, aging and the life-course, and community engagement as a form of prevention. Lauren has expertise in qualitative and quantitative methods, including focus groups, in-depth interviewing, survey design, and photovoice methods. She is passionate about working with the communities to identify the unique issues and collaborating with the communities to support their solutions. 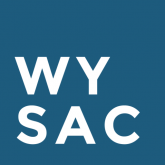 She currently works on the Wyoming Survey & Analysis Center (WYSAC) evaluation team for the Wyoming Partnership for Success (PFS) grant and the Wyoming Prevention Prescription Drug/Opioid Overdose-Related Deaths (PDO). Gilbert, L. R. (2016). Photovoice: a Link between Research and Practice for Prostate Cancer Advocacy in Black Communities. Journal of racial and ethnic health disparities, 1-12.